Lock in a great price for Spirit Of The Knights Boutique Hotel – rated 9.5 by recent guests! Nino and Duncan were exceptional hosts. They made our stay very pleasant. 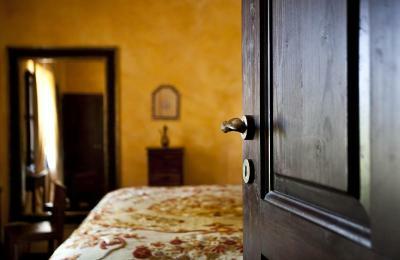 A beautiful hotel with excellent service in a fantastic location in the old town. The people that run the hotel were lovely and breakfast was really good. The location is perfect - close in Old Town, but a little off the Main Street which made it quiet. 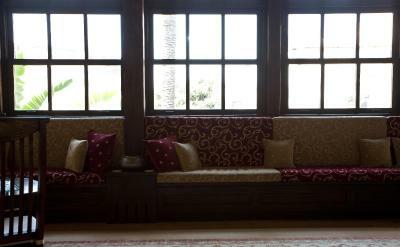 The attention to details in restoring this amazing place was outstanding. The ambiance is fabulous, courtyard lush with plants and water features. Absolutely beautiful! The staff is friendly, knowledgeable and a pleasure to talk with. Staff friendly and accommodating. The hotel was interesting and very unique. Great history. Breakfast was very good and liked that staff would bring me tea in the evening and offer us cocktail upon arrival and on request at end of evening. Location was great, close to everything yet quiet. The garden area beautiful and relaxing. 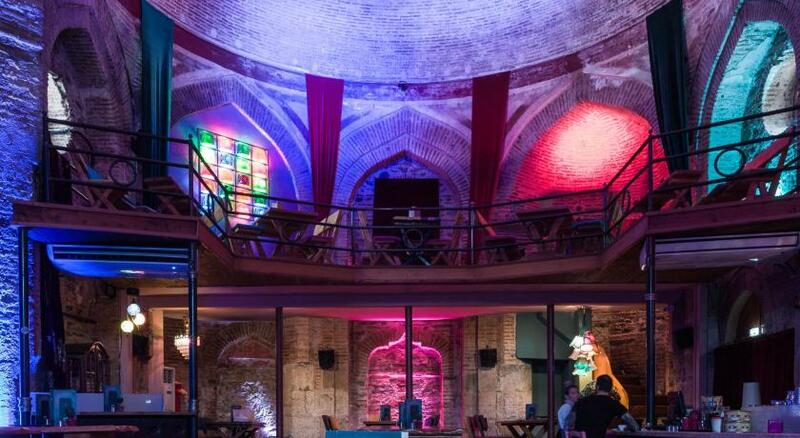 The architecture is beautiful, the restoration amazing. Breakfast was delicious. This is a beautiful place to stay & I highly recommend it. Great place, very well designed and maintained. Excellent breakfast. Lena took very good care of us. I've mentioned to her that our daughter has a birthday on April 3. She arranged a wonderful local bottle of wine and a chocolate left in our room. Our daughter was very excited about it. Chris, who met us upon arrival from the airport and served us all along our stay serving our breakfasts with great attention. All and all we really enjoyed. Thank you so much Lena and Chris. This place is like being in a castle. The warmth is intoxicating. I came in cold weather. I cannot imagine the beauty in warm weather when the outdoor areas come alive. You are treated like royalty. There is the right amount of space yet help when needed. 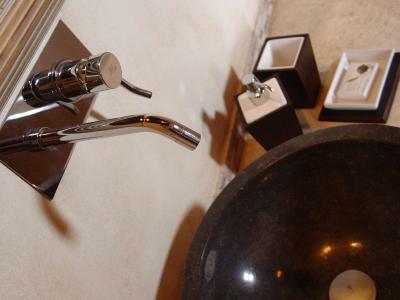 Beautifully renovated small (6 rooms) boutique hotel. Very convenient Old Town location and very quiet property. Easy to walk to all of the Old Town museums, restaurants, shops, etc. Breakfast was to die for---the fresh warm croissants were the size of a small loaf of bread. Eggs cooked to order and restful heavily landscaped patio added to the serene experience. Host Duncan was most helpful and discussed the next day's activities over a delicious glass of local red wine each evening. 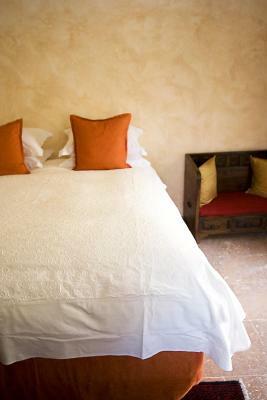 Beautifully appointed and very comfortable rooms. The location is excellent and the staff are very good. 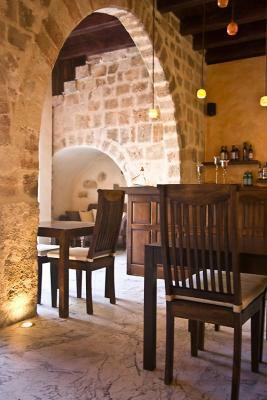 The ambience and décor was all in keeping with the old Crusader castle theme , close to all the points of interest , restaurants , and the breakfast . 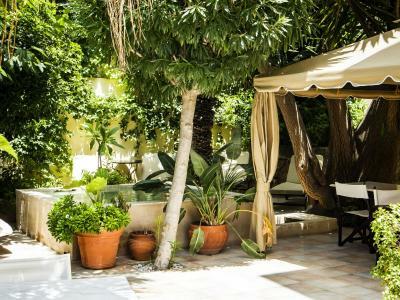 The courtyard was a fabulous oasis ,not only to have breakfast , but also to relax , read , and just listen to the water trickling in the fountain . The staff even arranged for the hire car person to come to the hotel to sign and pay for the car hire . 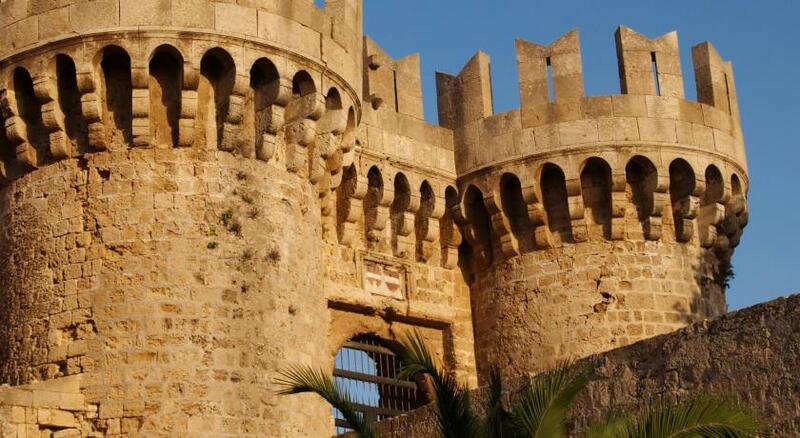 One of our top picks in Rhodes.Architecturally influenced by the Crusaders and the Ottomans, the Eco-Friendly Spirit of the Knights Boutique Hotel is set in Rhodes Old Town. It features uniquely designed and luxurious accommodations with free Wi-Fi throughout. Featuring high ceilings and decorated with natural materials and furnishings from many parts of the world, the units offer air conditioning, LCD TV and safe. Non-allergic beds, and bedding by Coco-Mat are featured. 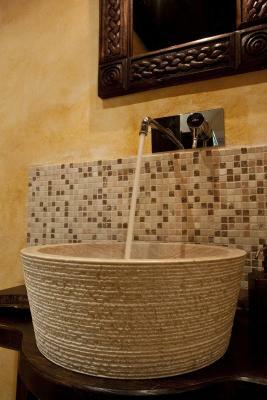 Mosaic tiling compliments the spacious bathrooms. Some are split-level suites or include a seating area. 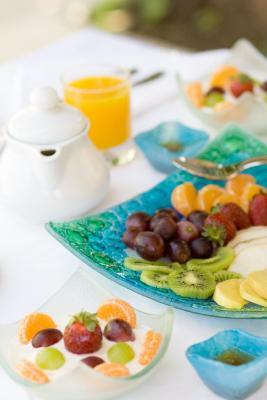 Every morning the historic Spirit of the Knights Boutique Hotel prepares a breakfast consisting of hot and cold dishes. 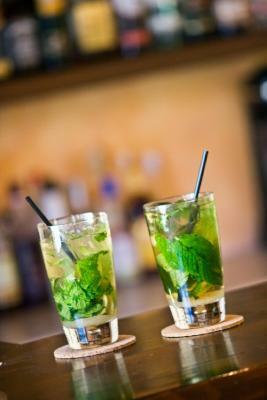 The on-site bar serves refreshing drinks and hot beverages. Room service is also provided. Staff at the 24-hour reception desk can provide information on local attractions such as the Grand Masters Palace which is within a short walking distance. 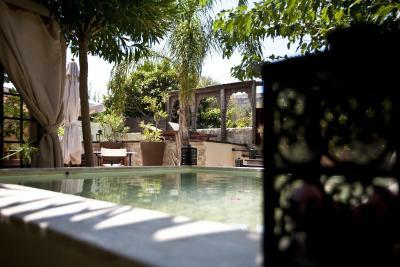 Guests can borrow a book from the hotel's library and enjoy it in the courtyards or on the sun terrace. 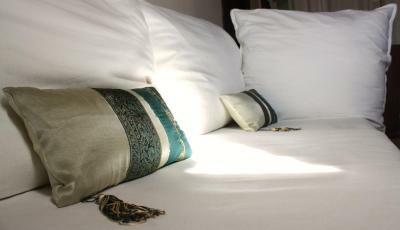 Spirit of the Knights Boutique Hotel is just steps away from a variety of bars and restaurants. It is 13 mi from Diagoras International Airport. Free public parking can found nearby. 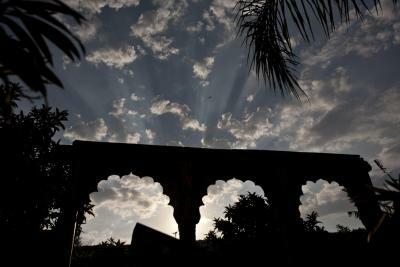 When would you like to stay at Spirit Of The Knights Boutique Hotel? This suite is fitted with a marble floor and a high arched ceiling. The spacious bathroom includes a sculpted bathtub with a shower. Non-allergic beds, and bedding by Coco-Mat are featured. Fitted with a 5-yard high wood beamed ceiling and an Ottoman-style fireplace, this split-level suite has a separate seating area. Non-allergic beds, and bedding by Coco-Mat are featured. Fitted with original wood beamed ceilings and stained glass windows, this split-level suite contains a separate seating area and spacious bathroom. Non-allergic beds, and bedding by Coco-Mat are featured. 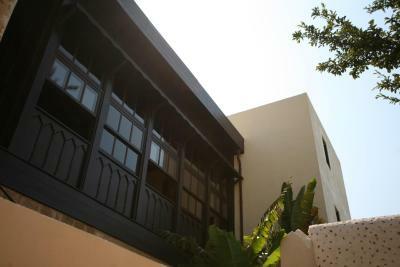 Offering views of the courtyard, this suite is fitted with stain glass windows. It has a separate seating area and a spacious bathroom with a sculpted bathtub. Non-allergic beds, and bedding by Coco-Mat are featured. 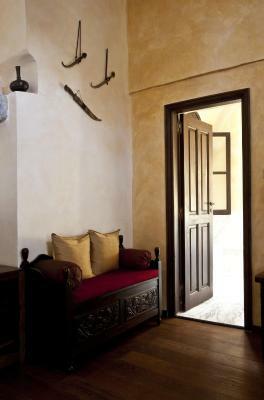 Offering views of the inner courtyard and Grand Masters Palace, this suite is fitted with wood beam ceilings. The spacious bathroom includes a free standing shower and bathtub. Non-allergic beds, and bedding by Coco-Mat are featured. Featuring a seating area with a hand-painted ceiling, this suite offers a spacious bathroom with a marble basin and bathtub. Non-allergic beds, and bedding by Coco-Mat are featured. 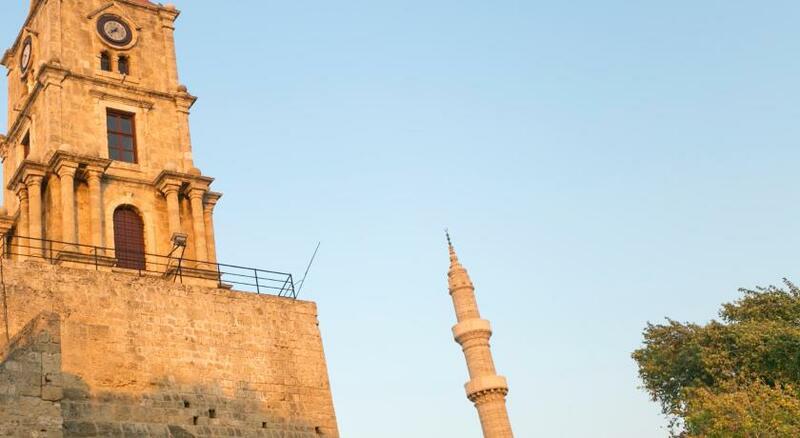 Tucked away on the highest point of the medieval town on a quiet cobbled street only minutes walk from the Souleiman Mosque, Grand Masters Palace, shops, bars, restaurants and sea the hotel is an ideal place from which to explore the medieval town and island. 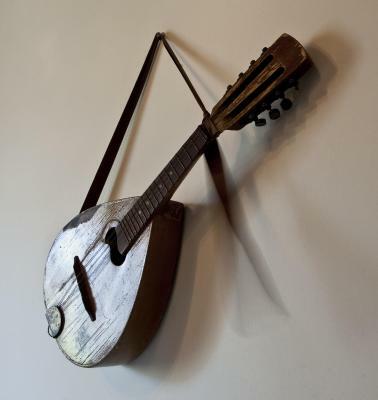 The hotel houses collected items and art works from many parts of the world including Greece, Morocco, Turkey, Persia and the Far East. 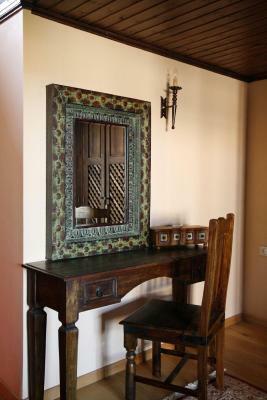 Carpets and kilims from Persia and Turkey and a wonderful mix of furniture, some hand carved, creates a stunning combination of historic building with modern amenities. Every room is architecturally different. The public areas are large and airy and include a reception, ground floor WC, lounge, library area, bar, inner courtyard garden and outer courtyard with water feature creating a wonderfully tranquil and spacious environment to relax in privacy. House Rules Spirit Of The Knights Boutique Hotel takes special requests – add in the next step! Spirit Of The Knights Boutique Hotel accepts these cards and reserves the right to temporarily hold an amount prior to arrival. Nothing really. We liked everything about this hotel - the facility, the location, and the people. This is a lovely historic hotel located inside the old city. The breakfast was fulsome - the coffee, French press - excellent. The owners were fantastic - helpful, professional and fun. We would definitely book this hotel again if we were back in Rhodes. The romantic lighting in the suite could use the addition of a good reading lamp as well. The hotel might consider providing it's own map (hand-drawn even would be useful) of the hotel's location in the old town. 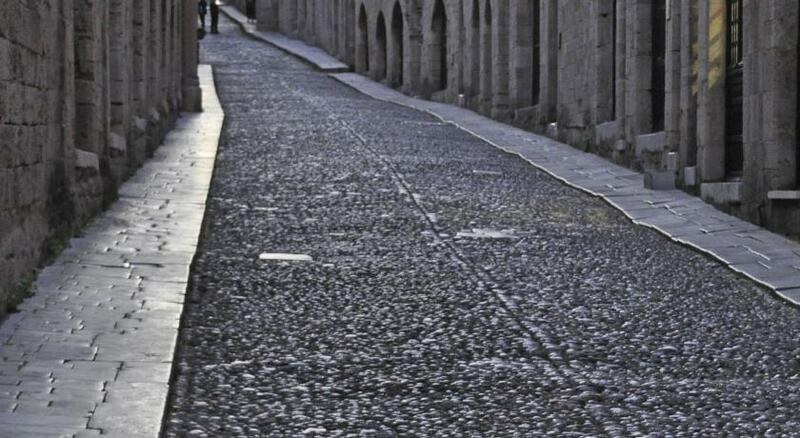 I often found that I needed to rely on Google maps to find my way around the narrow streets and passageways as the tourist office's official map is wanting. We very much enjoyed this quietly elegant restoration of this historic property in Rhode's old town. The location is tucked away on a quiet street away from some of the more heavily trafficked parts, yet still within walking distance of most everything. The host and staff were wonderfully friendly and contributed greatly to our enjoyment. The breakfasts were excellent with an extensive menu. Central location but off a little side street so reasonably quiet. Respite from the busy old town but still very easy walking distance to everywhere. Very good for a solo traveller. Hotel organised and met taxis. Lovely tranquil courtyard. I was bitten many times by mosquitos. Bites became less frequent ,but I feel the best answer would have been nets- my deterrents were not 100%effective. I could enjoy a wonderful garden . The breakfast each day was excellent. Theres a kindly service from everyone. The location places you right in the centre of the old town- so little stress. 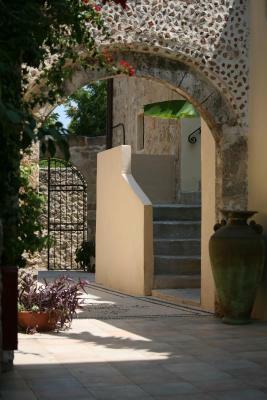 Unique experience in Old Town Rhodes- an oasis of calm and tranquility, wonderful breakfasts. We enjoyed refreshing hot tub, sequestered garden and personal hammam. Staff helpful- esp Nicos! 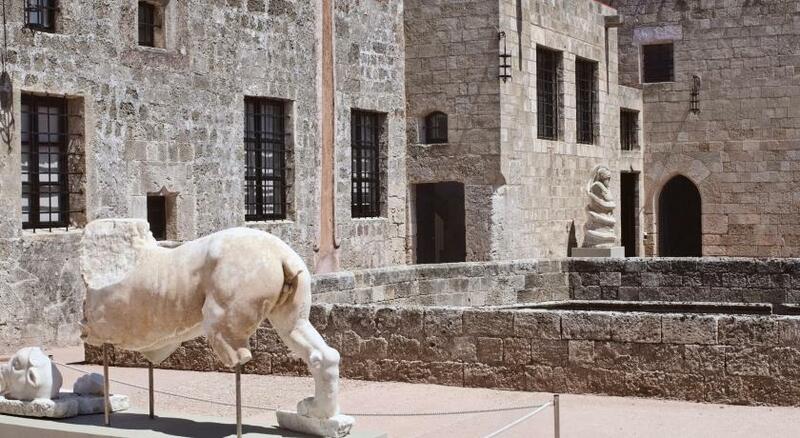 Amazing Hotel, super cool experience to stay there, really gives a taste of the Historical past of Rhodes. I would really recommend staying here! There was a lot of light in the room in the morning. I would maybe add extra curtains. Wonderful location, the building is just amazing. Our suite was exactly as we expected and the bed was extra comfy. The garden is so beautiful, a real harbour of peace. Having breakfast there is a perfect start of the day. 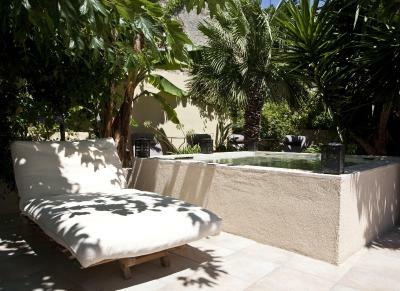 In the garden there is a little Jacuzzi that is perfect for two people. The staff is super nice and attentive. The hotel is in a very quiet corner of the Old Town ... lovely welcome drink after being seated in a tranquil garden with the sound of gently flowing water. 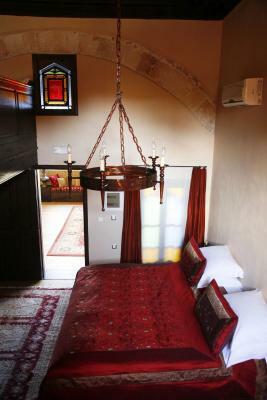 Rooms are high ceiling with a hint of the Ottoman Empire. Fantastic breakfast, cooked to order ... attentive staff. Our room was extremely noisey throughout our stay. Very disappointed to find no tea or coffee making facilities in the room. Bed was comfortable and the staff very obliging. We loved this place. 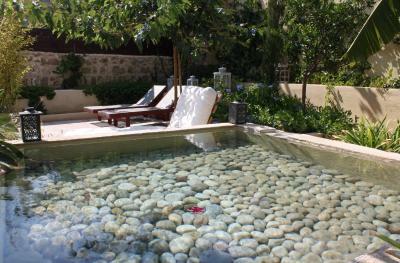 Great location and a little oasis in the middle of the Old Town. Hosts and staff were terrific and very helpful. Nothing was any trouble for them. Will certainly stay again.